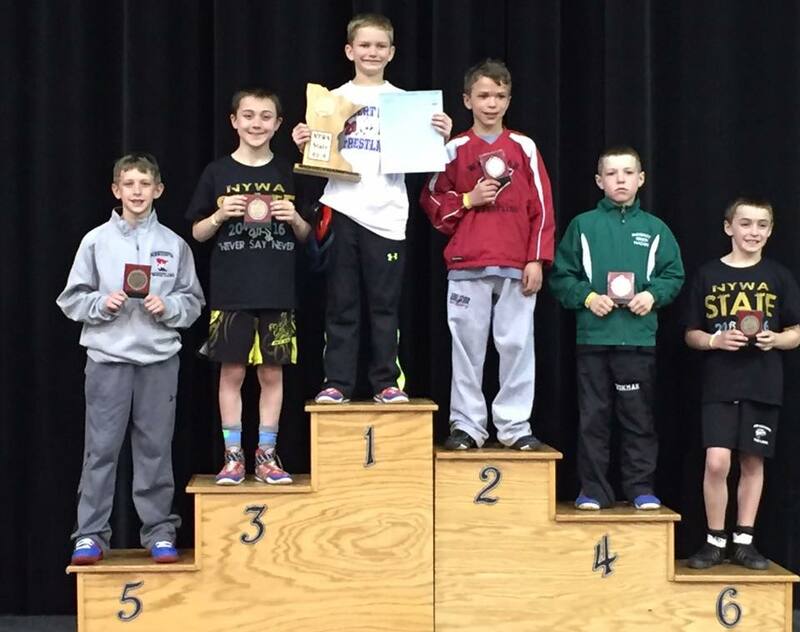 Jarret Haglund wrestled in the MN/USA Junior State Freestyle Tournament at Augsburg College this weekend. Jarret earned 6th place at 195 lbs and continues to build on his successful folkstyle season. Congratulations Jarret! 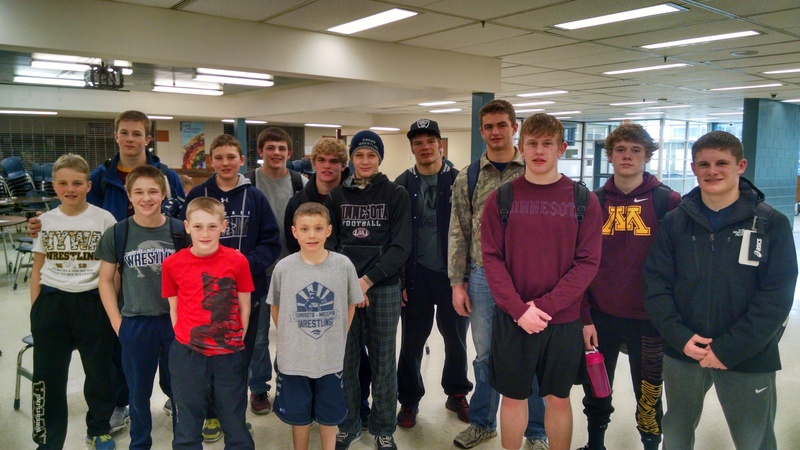 ZM Wrestling has also been putting in work off the mat and giving back to the community. 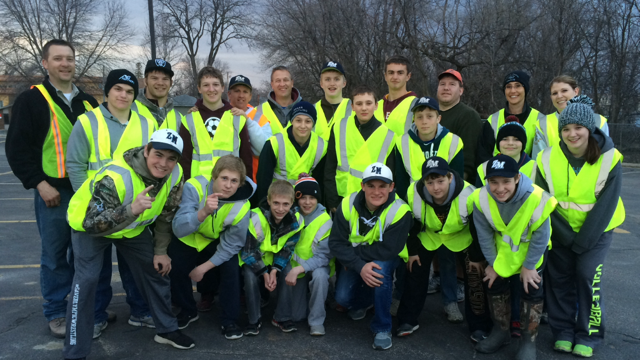 Many wrestlers and volunteers helped with the Adopt-a-Highway cleanup on a 2 mile stretch of Highway 52 north of Zumbrota. ZM Wrestling also donated 2 hours of yard work in the silent auction for the Kelsey Bradley benefit. Matt Biever was the highest bidder and Caden Steffen, Spencer Defrang, Jacob Bennett, and Jack Haglund all pitched in on Sunday to help with Matt’s to-do list. 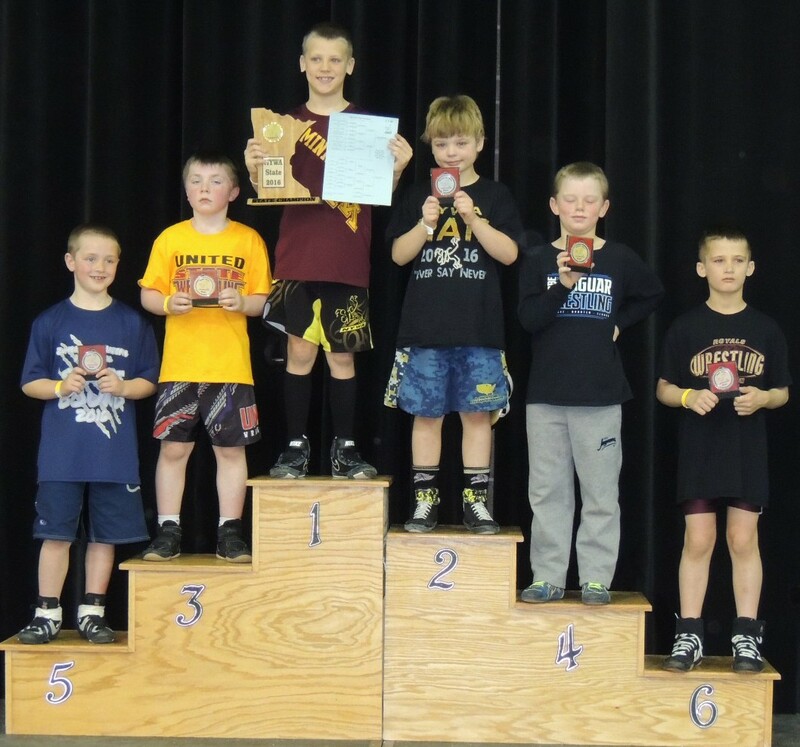 Friday/Saturday- Greco/Freestyle tournament in Simley. Adopt-a-Highway cleanup is scheduled for Tuesday, April 12th. Wrestlers and volunteers are to meet at back of high school at 6:00 PM. Appropriate dress would include pants, long sleeves, gloves, and old shoes or work boots. Safety vests will be provided. Parents are welcome and encouraged to help also! 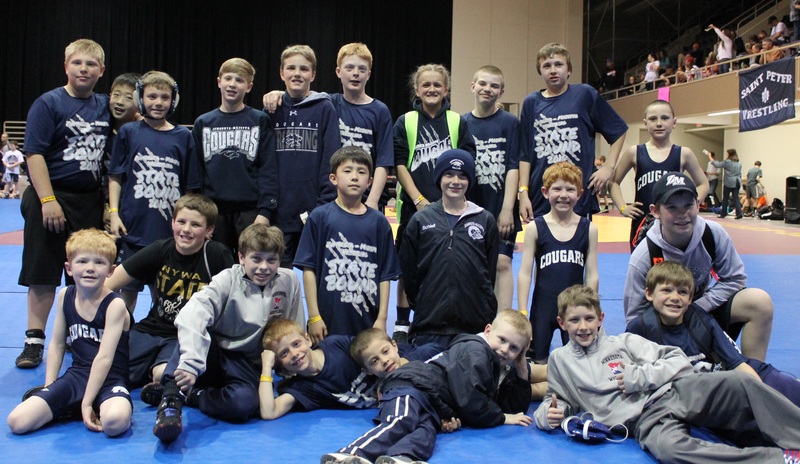 12 Z-M wrestlers competed in Apple Valley at the Freestyle MN/USA State Qualifier on Saturday. They were: Cain and Ryan Lexvold, Lucas Schiell, Michael Majerus, Hayden Voxland, Tyler Soltau, Hayden Stensland, Caden Steffen, Jarrett Haglund, Jacob Bennett, Luke Tupper, and Sam Nordquist. The youth celebrated their season last Friday with a pizza party. 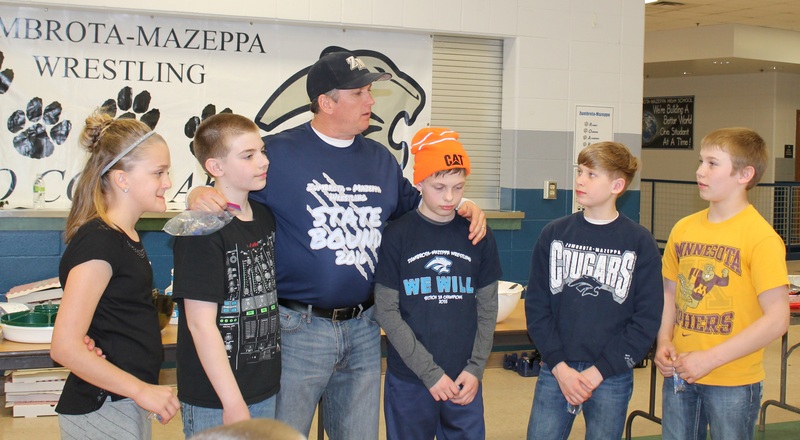 Below is Coach Krier recognizing the 6th graders. Missing from photo are Dalton Hall and Hunter Jones. 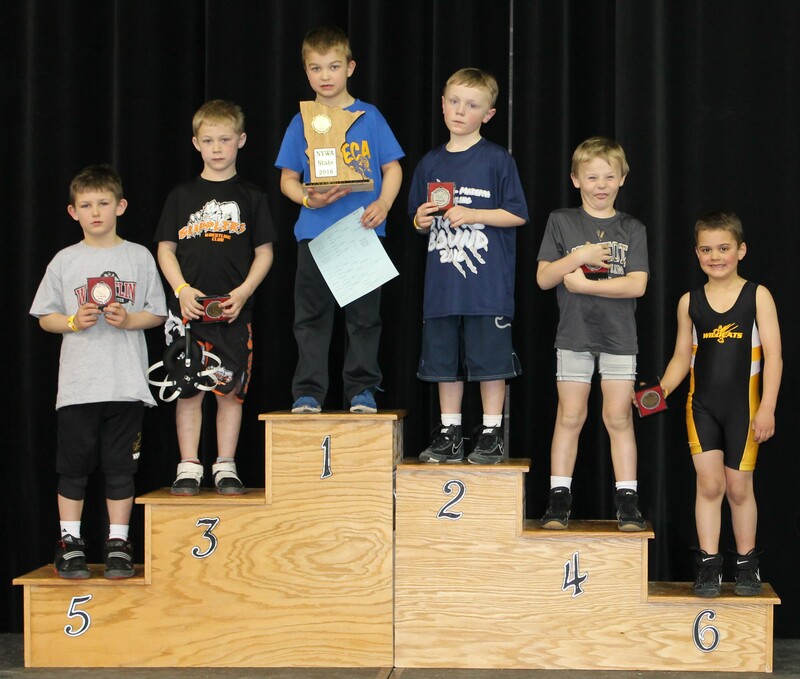 Saturday- Freestyle/Greco tournament in Cannon Falls.